This is a great summertime recipe when stone fruits are fresh and plentiful. This is also a terrific treat in the winter—serve it warm with a scoop of vanilla ice cream or a generous dollop of whipped cream. 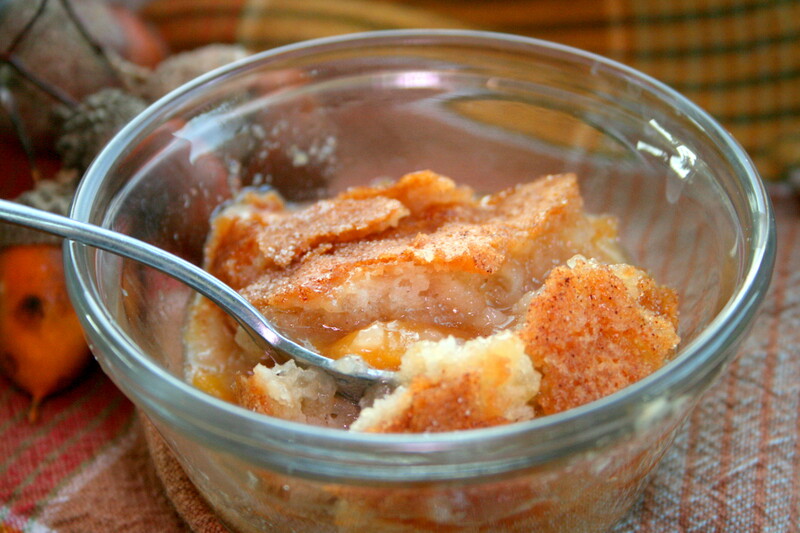 We made this Amish Friendsihp Bread cobbler recipe using fresh peaches. Try other stone fruits like nectarines, plums, or cherries, or substitute the peaches in this recipe with your favorite berries. If using frozen fruit, rinse under cool water until thawed and then pat dry. 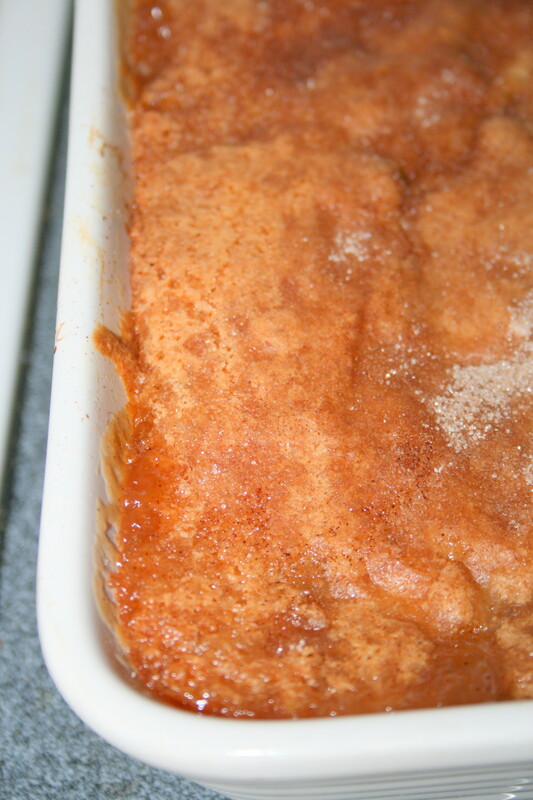 This Amish Friendship Bread Peach Cobbler is perfect recipe for a cool, crisp night. Butter the bottom and sides of a 9" x 13" baking dish. In a bowl, mix peaches with ¾ cup sugar, 3 tablespoons of flour and 1 teaspoon of cinnamon. In another bowl, mix together starter, flour, ¾ cup of sugar, vanilla and baking powder. Spoon or pour starter mixture over peaches. Sprinkle top of batter with 2 teaspoons of sugar. Bake for 40-50 minutes or until the top is golden brown and a toothpick inserted in the center of the bread comes out clean. Wow I was given a starter over 20 years ago and this is the first time I have seen it since ! this looks so good I might have to make this for our Easter Bake and Basket sale at our church..can’t wait to try it..I love the friendship bread so I can taste this in the cobbler.. This is my first time on site. I wanted to print the cobbler recipe but is there a button to push just to print the recipe and not everything else on the page? I have found that I have to highlight the text I want to print, copy and paste it to a word document, and then print. It is the only way I have found not to get all of the extra advertising, etc. when printing. Great recipe! I signed up for your newsletter too. One suggestion that I would offer is to be sure that you do NOT get the dark pans. They have a tendency to get hotter and the cakes get too brown. The last time I used a dark pan, the bottom burned before the center cooked.Yuck! The best ones I have found are the lightweight aluminum, old fashioned metal (not the disposable type). Spray with cooking spray and the cakes come right out. Only cool a few minutes before turning out to cool. I also put some parchment paper down before adding the dough to the pan. I did have the same issue. I added an egg to the mixture. Spooned it over apple pie filling. Looks & smells great! Will try it as soon as it cools. This sounds delicious! I would love to try this recipe. I THINK I’M GOING TO MAKE THIS FOR MY BOYFRIEND, HE LOVES PEACH COBBLER! I’M GONNA MAKE A BATCH FOR THE GIRLS IN THE OFFICE AT WORK TOO! I made this recipe and it came out great. I added a teaspoon of nutmeg to both , peaches and batter and to peaches I added 4 teaspoon of butter. I love the buttery taste. When my batter is too thick I adds a few teaspoons of milk and then it is perfect. My family really enjoyed this. This looks so delicious! Peach Cobbler has always been one of my favorites. I’ll have to try this one!